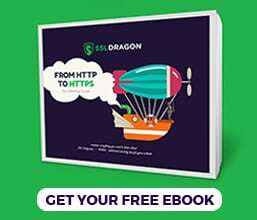 Besides configuration information, in the latter parts of this guide, we also offer a brief overview of Oracle’s history, as well as useful tips on where to buy the best SSL Certificate for your Oracle-based platform. Use the links below to navigate to the section of your interest. Where to buy the best SSL Certificate for Oracle Servers? Note: Oracle Wallet Manager does not support wildcard certificate installation. Now, you can open your CSR code with any text editor of your choice such as Notepad, and copy-paste its contents into the required field during your SSL application process. Country: provide the two-letter abbreviation of your country name (in ISO format). For example, US for the United States. You can find more country codes here. Copy your newly generated CSR code including the header and footer contents into a text document such as Notepad, and click the Close button. That’s it! Now you can use your CSR during the order process with your SSL vendor. You’ll be creating your CSR code using Java Keytool. First, you will generate a new Keystore file, and then create your own Java Keytool commands to generate a CSR code for your Oracle WebLogic Server. Note: For a smooth and error-free SSL installation, we recommend you create a new Keystore before you generate the CSR. Replace your_domain with the actual domain name you want to secure. Note: If you have a wildcard certificate, DO NOT include an asterisk (*) in the file name. This character is not supported. Password: you’ll need to create a password for your Keystore. Store it in a safe location, or password manager. You’ll need it during the CSR generation and SSL installation. Replace your_domain attribute with the actual domain name you want to secure. Now, you can open your_domain.csr file with any text editor of your choice (e.g., Notepad) and copy-paste its contents including the —–BEGIN NEW CERTIFICATE REQUEST—– and —–END NEW CERTIFICATE REQUEST—– when ordering your SSL Certificate. After installation, in the navigation menu, the certificate node will change from Certificate: [Requested] to Certificate: [Ready]. Congratulations! You’ve successfully installed an SSL Certificate on Oracle Wallet Manager. Test your SSL installation for potential errors and vulnerabilities. After the CA sends you all the necessary SSL files to your inbox, you can continue with the certificate installation. Paste your SSL Certificate contents in the corresponding box. Make sure you copy-paste the whole text, including —–BEGIN NEW CERTIFICATE REQUEST—– and —–END NEW CERTIFICATE REQUEST—– tags. From the available list of handling secure requests, choose the HTTP Listener. Congratulations, you’ve successfully added an SSL Certificate to your Oracle iPlanet Web Server. Congratulations, now you know how to install an SSL Certificate on Oracle WebLogic. After you install an SSL Certificate on Oracle server or app, it’s imperative to check your configuration for potential errors or vulnerabilities. You can do this efficiently with the help of high-end SSL tools. Pick software from the linked article, to get instant scans and reports on your SSL Certificate. Oracle Corporation is an American company specializing in enterprise software and cloud computing. In 2018, Oracle registered the third largest revenue in the software making industry, behind Microsoft and Alphabet. Founded on June 16, 1977, by Larry Ellison, Bob Miner, and Ed Oates, as Software Development Laboratories (SDL), the company adopted its current name in 1995. Oracle produces both software and hardware products, as well as offering complimentary services. Its large portfolio includes databases, middleware, applications, enterprise management, cloud computing, operating systems, and hardware. Listed below are the latest releases of popular Oracle products such as Oracle Wallet Manager, Oracle iPlanet Web Server, Oracle WebLogic Server. Oracle iPlanet Web Server 7.0.9.